NOW Borrow the book for FREE! LIKE US ON AMAZON OR FACEBOOK AND GET KINDLE PRIME FOR FREE! https://www.facebook.com/pages/Living-the-12-Steps-of-Recovery-One-Day-at-a-Time/114891618573347 an d get the book on KINDLE PRIME for FREE. ITR’s BOTM for March 2011. 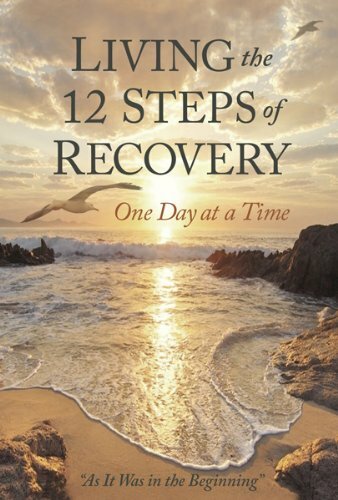 After six years of research, writing and editing, I self-published “Living the 12 Steps of Recovery – One Day at a Time – As It Was in the Beginning,” a classical revival of our 12 Steps & Traditions. The work is a series of daily meditations on each step and tradition in a monthly rotation, with 12 original illustrations of people imagined contemplating the step and tradition that follows. There are also two Appendices on Pray and Meditation. Step IV suggests that as a basis to compare, we consider our moral inventory in terms of its failures regarding the 7 Capital Sins: Pride, Greed, Anger, Envy, Lust, Gluttony and Sloth. But hasn’t each of those instances in our recollected lives been created through a violation of the first of the Oxford Groups four basic Tenets: Absolute Honesty (Purity, Unselfishness and Love)? Our old friend, rationalization helps us twist and obscure the truth of our involvement in the essay for today regarding Lust; our gluttonous appetite for sexual satisfaction which is attained only in the sense of selfish conquest and our satiation of the moment, then almost instantly renewing its hunger, again and again. No, Lust is never really satisfied until it becomes tempered with Love and Respect. If you are interested in following the book and have a Kindle reader, join the Prime Program and borrow the book for FREE through July 9, 2012. That’ll give you time to decide on whether its something you’ll add to your recovery literature collection. Many use it for a quick daily read using apps for: iPad, iPhone, iPod touch, PC, Mac, BlackBerry, and Android. Now, here’s that reading on Lust and personal moral inventory. We ask of ourselves: â€œHow, when, and where did my lustful sexual pursuits hurt other people and injure me? Itâ€™s possible my marriage and children were damaged as a result of those indiscretions, or that my good standing in the community may have been jeopardized by these acts. How is it that I reacted to these situations at the timeâ€”was it with a burning, lingering guilt? Did I excuse myself by insisting that I was the pursued and never the pursuer? What were my reactions to my sexual frustrations? When denied, did I become vengeful or depressed? Does it appear I took it out on other people? Back when there was rejection or coldness at home, do I recall I used this as a convenient reason to be promiscuous? To appease my carnal hunger, could I have broken promises or vows of commitment, causing another to do the same, utilizing deception, lying, and exploitation? In our own variations we ask ourselves these questions. We do so thoroughly examining the pursuit of our sexual instinct, acknowledging the time, the place, and by what circumstances we knew those urges had gone awry, becoming lust. This inventory ought to be quite thorough, omitting or excusing nothing. If you got this far, I have a treat for you. The video link that I have included above is one of the finest photographic earth conscious Gratitude meditations I have ever seen. Be sure and give it a view.